President Donald Trump sought Sunday to gloss over the difficult work ahead for lawmakers laboring to finalize tax cut legislation he can sign by his self-imposed Christmas deadline. 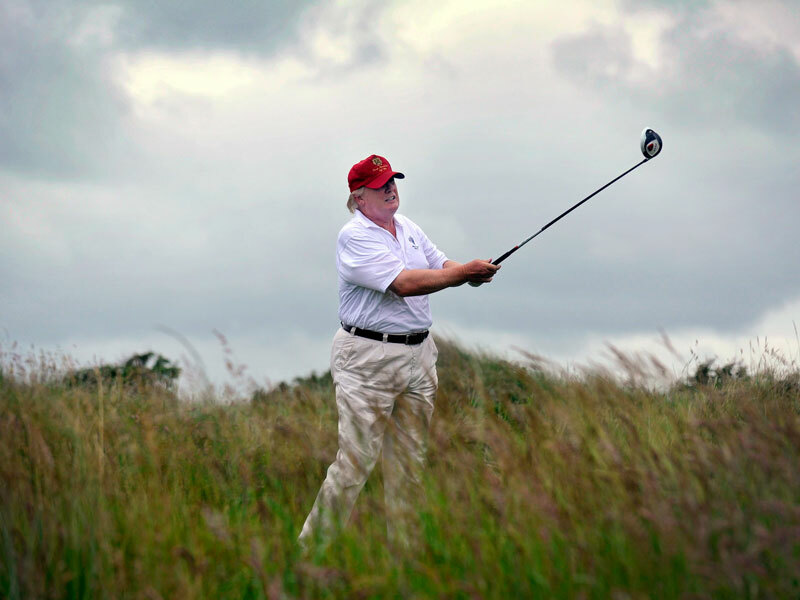 Trump tweeted about the pending bill before he went to his golf club in West Palm Beach for a round with Republican Sen. Lindsey Graham of South Carolina. Trump and Graham, who has become a regular golf partner for Trump, discussed the tax bill and upcoming budget talks after they teed off, said White House spokesman Raj Shah. 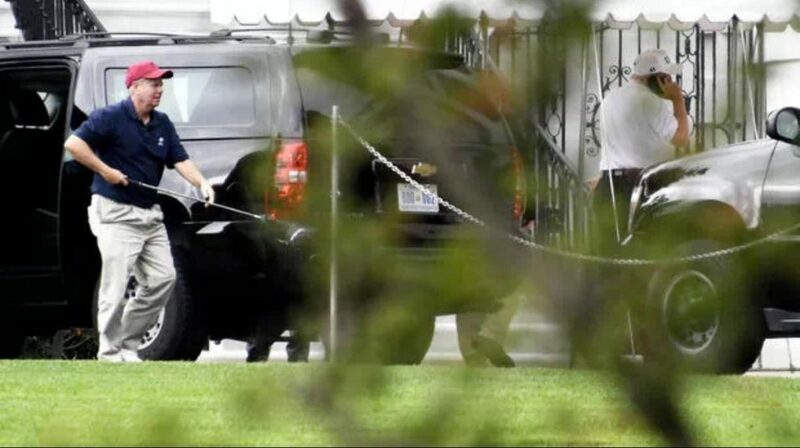 The president and Graham had previously used their golf game as a moment to catch up with one another, most recently the two discussed the president’s twitter habit and his fight with Sen. Bob Coker on the links back in October. Trump has set a Christmas deadline for signing the bill into law, giving lawmakers named to a special conference committee two weeks to iron out major differences in the House and Senate versions of the legislation. The conference committee has scheduled its first formal meeting for Wednesday. Both measures would cut taxes by about $1.5 trillion over the next decade while adding billions to the $20 trillion deficit, combining steep tax cuts for corporations with more modest reductions for most individuals. Together, the changes would amount to the biggest overhaul of the U.S. tax system in 30 years, touching every corner of society. Significant differences between the bills must be worked out before Trump can fulfill a campaign promise and score his first major legislative achievement. Republican lawmakers, including Graham, have said publicly that failure on taxes — after the embarrassing collapse of several attempts to repeal the Obama-era health care law — would be politically devastating with control of the House and Senate at stake in midterm elections next year. “It would be a complete disaster,” Graham said in October. The House bill collapses the seven existing personal income tax brackets to four, while the Senate version retains the seven but changes their percentages. The mortgage interest deduction is more generous under the Senate bill. There are also questions about what to do with the alternative minimum tax and how to handle the tax treatment of millions of U.S. businesses organized as “pass throughs,” as well as the federal deduction for state and local income taxes. The Senate bill ends the requirement that most consumers buy health insurance or pay a tax penalty, while the House measure avoids the issue. Before traveling to Florida, Trump signed a spending bill Friday to avert a partial government shutdown and keep the federal government running through Dec. 22, when stopgap funding is scheduled to expire. The White House and lawmakers said the extension buys them more time to reach agreement on several end-of-year agenda items, including the budget, a children’s health program and aid for hurricane-battered areas of the country. Trump spent the weekend at his Palm Beach estate, arriving from Pensacola. He was returning to the White House on Sunday night.